Man, the holidays can be overwhelming. Not only do we have tons of preparation work to do in our personal lives, like shopping, putting up decorations, meal planning, and travel arrangements, but we typically have a high amount of additional work at our jobs. One thing your company or organization is most likely preparing for this season is your holiday greeting cards. Made by a professional printing company, holiday greeting cards can be a terrific way for customers and clients to remember you when budgets are approved for the next year or when choosing their next vendor. With that in mind, we thought we’d give everyone some tips when sending business holiday greeting cards this year to ensure the process is pain free and stands apart from the crowd. When it comes to holiday greeting cards, the options at your disposal are virtually unlimited with a plethora of sizes, colors, stocks, and styles. Additionally, a professional printing company can supply you with customized envelopes, address labels, and envelope seals, letting you unleash your greeting card creativity. Of course, you could just drop down to your local department store and buy some generic greeting cards, but if you really want to be remembered, sending a unique and branded card is the only way to accomplish this. Creating a memorable holiday greeting card doesn’t have to be expensive and could be as simple as adding a group photo, a clever or funny holiday pun, or a thoughtful message. Of course, you should include your logo in your holiday greeting card, but also make sure to incorporate your company tagline, contact information, and business name in a way that ties everything together and presents your brand well. When ordering your greeting cards from a professional printing company, don’t wait until the week of the holiday to place your order. Even though the majority of printing companies can run a print order relatively quickly, there are tons of clients putting in orders at the same time. Ordering your holiday greeting card in ahead of time can also decrease stress if anything must be changed during proofing. Greeting cards are a great way to let clients and customers know that you’re thinking about them during the holidays. With a professional and affordable printing company that can handle custom print orders quickly, you can use greeting cards to build brand awareness and great relationships year-round with greeting cards for company announcements, corporate events, and fundraisers as well. 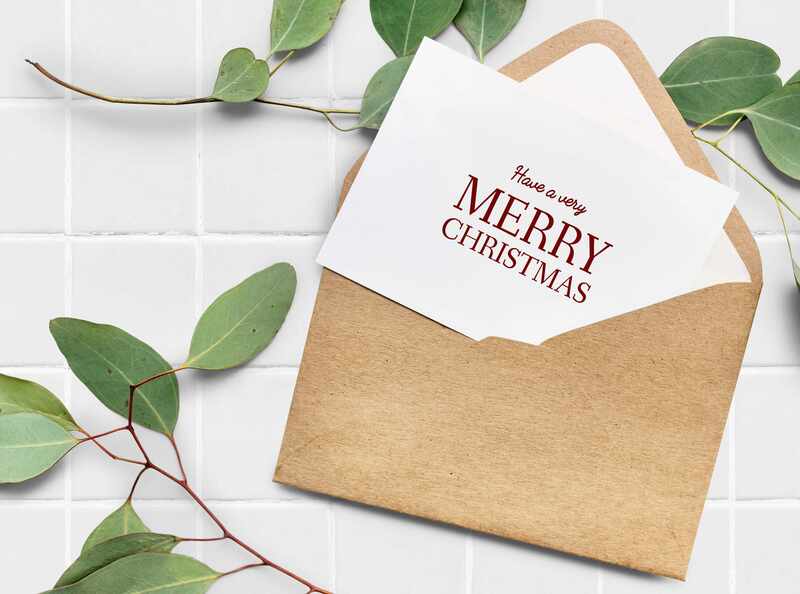 Another great idea that some businesses use to stand apart from the crowd is to send holiday greeting cards for holidays that aren’t normally associated with getting cards in the mail such as New Years, Thanksgiving, or even President’s Day. Integrated direct mail campaigns are part of the modern company’s comprehensive marketing arsenal, holiday greeting cards included. One of the best parts about this time of the year is that customers typically pay more attention to their mail in December than any other time of the year. At a time when you’d rather be focusing your energy on friends, food, and festivities contact Acme Printing at 855-581-8528 or online today and let the professionals handle your holiday greetings.